Mixture of grass, herbs and wild flowers. 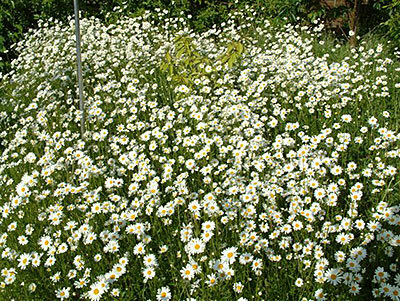 This mixture is ideal for large areas of land where a simple cheap meadow is needed to be created. It will take a couple of years to fully develop. Sow at 10 kilos per acre/ 5 kilos per ½ acre. This mixture is made up of largely slow establishing , non competitive species. This will allow the wild flowers and herbs to grow into mature plants. Once established this complex mixture is easy to manage and it creates an excellent habitat for wildlife. Simple wildflower meadow seed mix. A mix of grass, wildflowers and herbs. Entry-level photographic identification guide to the commoner wild flowers of Britain and Northern Europe, featuring 280 species that the amateur naturalist might expect to see in the field or garden. High quality photographs are accompanied by full species descriptions, giving identifying features, as well as details of size, habits, habitats and distribution. Each title is written by an acknowledged expert in the subject with photographs supplied by Paul Sterry, a biologist whose interest in natural history spans more than 50 years.